Weight loss can be a tricky thing. You may be eating healthy, watching your calories, and working out...yet you've hit a plateau and the weight loss has come to a halt. This is so frustrating, right?? 1) YOU ARE EATING MORE-- Say what?? Yes, this may be true. The combination of working out and losing water in your body makes you more hungry! The smartest plan to follow is eating small meals throughout the day. This includes eating a small snack before you work out. Make sure you stay hydrated as well. Water should be your best friend. 2) YOU MAY NOT BE EATING ENOUGH-- When you begin a lifestyle change, don't deprive yourself of food. FOOD IS ENERGY!! Just be smart about it. 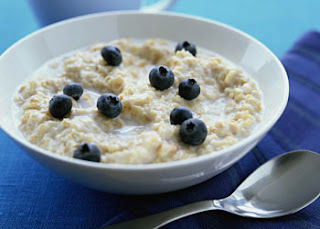 Never go below 1200 calories a day and ALWAYS eat a healthy breakfast. 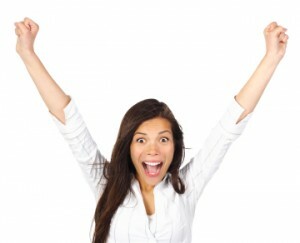 3) YOU MAY BE LIFTING WEIGHTS-- This is a GOOD thing...this is a GREAT thing!! If you have stuck to a strength training regimen (good for you! 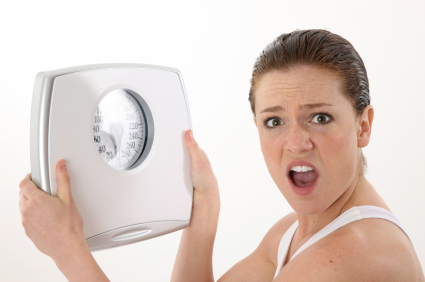 ), you most likely have noticed the number on the scale NOT moving. Please tell yourself....this is OKAY! What your body is doing is trading fat cells for muscle. Muscle weighs more than fat. Don't be sad about this...increasing the muscle tone in your body will make you look FABULOUS! You may even forget about the number on the scale. 4) YOU MAY BE DOING THE SAME WORKOUT-- Ever get addicted to a certain workout? (Zumba anyone?!!) Although it may be hard to mix up your workout, it is absolutely CRUCIAL if you want to lose weight. The most popular type of training these days is called HIIT, or rather High Intensity Interval Training. This type of training creates "muscle confusion" in the body, and your body has no choice, but to change!! Adding short bursts of intense exercise not only burns more calories, but will increase your metabolism as well. Short on time? GREAT! HIIT training usually lasts anywhere between 9-20 minutes. Minutes 1-5: Warm Up- I walk up to Old Main from my house with Kusaba, my dog...He loves stair days! And the best part? He met a friend to run around with. Minutes 6-10: Walk/Jog the entire length of stairs. There are exactly 125 stairs in case you are wondering! Minutes 24-26: Try to not pass out...breathe...and stretch. Oh yeah, the view from the top of the stairs is pretty amazing! As the saying goes, "The quickest way to a man's heart is through his stomach." Do you want to know the quickest way to MY heart? Give me a NEW cookbook! I'm not kidding... 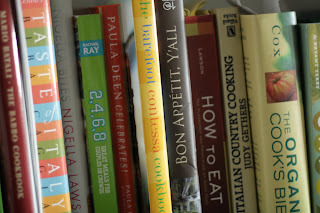 I absolutely love "reading" cookbooks. 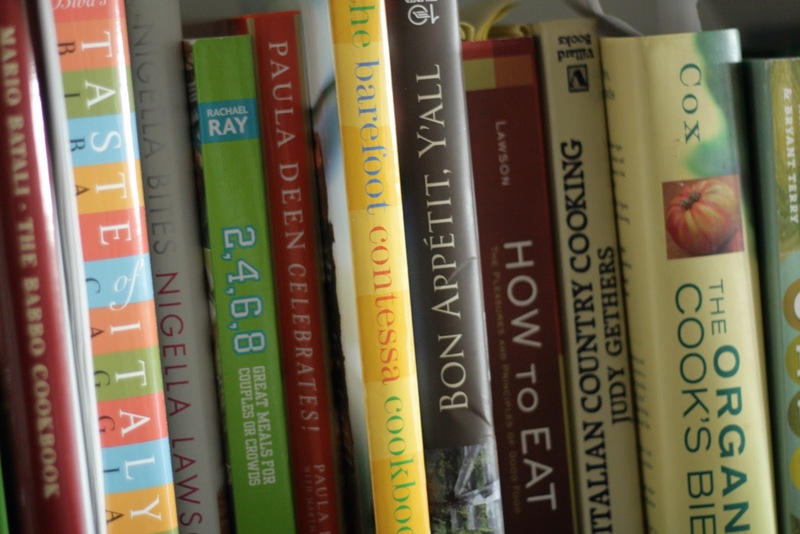 I could flip through the pages all day saying, "MMMmmmm, that looks good" or "I wonder if I have those ingredients in my cupboard right now?" Unfortunately, LOVING to make fun (and sometimes fattening) recipes doesn't really mix well with my strong passion for FITNESS! Hence, my MORAL DILEMMA. What is a girl to do? To tell you the truth, I believe in working out so that I can enjoy a little indulgence every now and then. The trick is to NEVER go overboard. However, that mindset can be one of the biggest obstacles to overcome. Would you agree? I always find myself saying, "Well these cookies completely negated my workout this morning" and then go into self-pity mode. Have you done the same? Why in the world do we do this to ourselves? Well NOW is the time to STOP all of that! We do not need to feel guilty for having a couple cookies or that piece of delicious birthday cake. There you have it. It is as simple as that. Therefore, I can occasionally make that Three-Layer Lasagna recipe that I've had my eye on or throw a batch of brownies into the oven...as long as it is 10% of the time! The other 90% of the time may be a little more difficult for all of us (myself included). 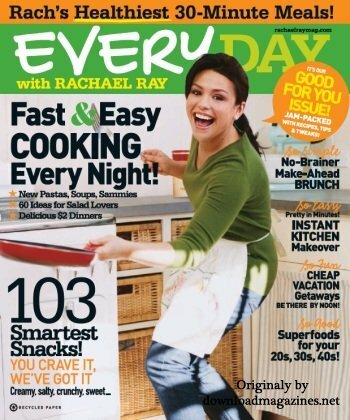 Well, don't you worry...as I read my Rachael Ray magazine today, I came across 103 Healthy Snacks that actually taste good. I won't bore you with all 103, but I would like to mention a few of my favorites. If you are interested in reading the full article, check out the April 2011 issue. 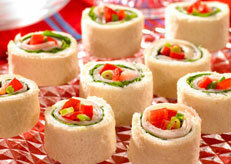 1) Smoked Turkey Pinwheels: Spread a layer of softened cream cheese on sliced smoked turkey breast and top with thinly sliced tomato, spinach, and green onions. Roll up and cut into 1-inch pieces. 2) Sprinkle drained canned artichoke hearts with lemon zest, capers, chopped fresh basil and olive oil. Eat with toothpicks, as if you were in Italy. 3) Ants on a Log (childhood memories, hello? 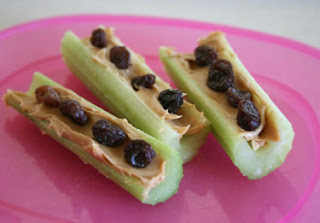 )- Stuff celery sticks with creamy peanut butter and top with raisins or Craisins. 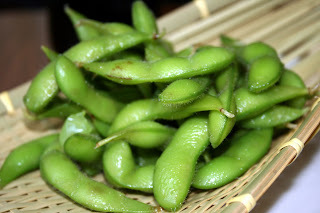 4) Snack on frozen edamame right out of the bag-- it's crunchier (and more refreshing!) than fresh. 5) Stuff iceberg lettuce leaves with chopped ripe tomatoes and crumbled feta cheese. 6) Slather a store-bought crepe with creamy almond butter and roll up with fresh blueberries inside. 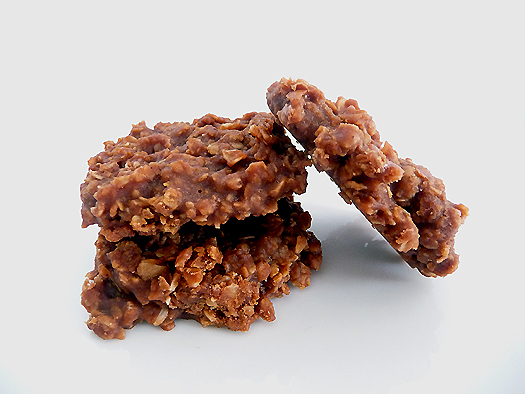 7) Chewy Chocolate Clusters: Melt bittersweet chocolate and stir in peanut butter and rolled oats. Drop spoonfuls onto wax paper, then let chill. 8) Green Smoothie: Gather what fruit you have and mix in blender with 1/2 cup yogurt, 1/2 skim milk, and 1/2 cup spinach. 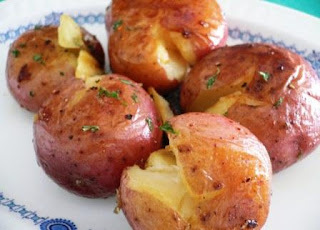 9) Baby red potatoes become blissfully creamy when you microwave them for 3-5 minutes (leave the skin on for nutrients). Sprinkle with pepper and sea salt. 10) Here's a cheesy topping for broccoli that only tastes indulgent. Whisk together equal parts prepared cheddar cheese spread and low-sodium chicken broth and stir in chopped pickled jalapenos. ENJOY the tastiness of these healthy snacks. The fresh, whole ingredients will be kinder to your waistline...allowing for that moment (I think you ALL know what I'm talking about) when you may want to indulge just a little. 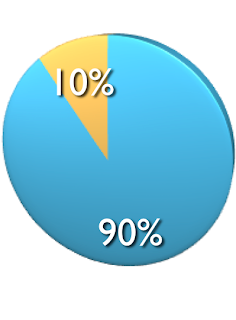 Remember friends: 90/10 for better health! WE ARE WHAT WE EAT, right? Well if that were really the case, I'm pretty sure I would look like a big tortilla chip or jar of peanut butter! (You may laugh, but it's true) Lately, I really have been trying to increase my vegetable consumption. Let's face it...sometimes a bunch of broccoli doesn't sound as appetizing as a handful of Doritos! Eating our veggies can do AMAZING things for our bodies, however. First of all, it is proven that vegetables contain a number of antioxidants that may help to stop certain cancers from forming in the body. 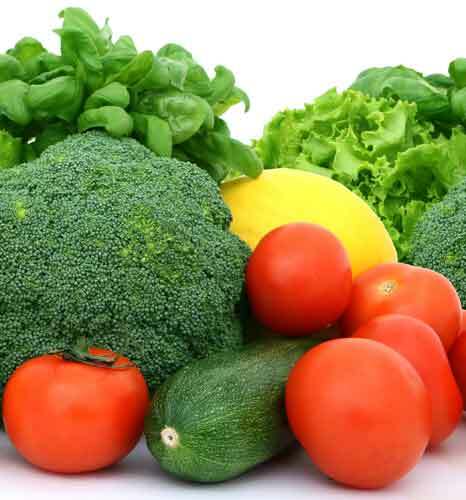 Beyond that, veggies contain vital nutrients that strengthen our body's immune and digestive system. Not only that, but vegetables will keep you fuller for longer, help you lose weight, improve the appearance of your hair and skin, and make you feel so good! WOW...I guess I can't say that about those cookies sitting in my cupboard. 1) Want your veggies to taste like candy? Smother your veggies (peppers, broccoli, carrots, tomatoes, onions, asparagus, etc.) with a mixture of olive oil and balsamic vinaigrette. Place veggies on a baking sheet and roast in the oven at 400 degrees for about 20-25 minutes. Try it...I dare you! You are going to crave these veggies from now on. 2) Make a "pasta" dish with spaghetti squash instead of noodles. 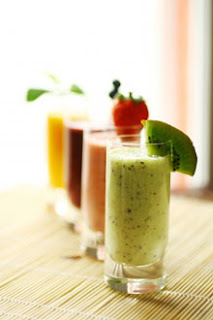 3) One of my faves...Add raw spinach to your smoothies! When you mix spinach with fruit, the sweet taste of fruit overpowers the bitter taste of the spinach. 4) Add chopped spinach to ground turkey, meatballs, or hamburgers. 5) Love your morning omelets? Instead of loading your omelet with cheese and meat, try topping off your omelet with salsa or sauteed veggies like onions, mushrooms, or peppers. 7) Puree cooked veggies and add to your stews and soups. 8) Baking? Add chopped zucchini or carrots into your breads or muffins. Eating your veggies doesn't have to be boring anymore and they can actually taste GOOD! Now go do what your mother has always told you and "Eat your veggies!" Persistence, persistence, persistence...never settle for less.